IGP delivers complete turnkey OTT Live Video Solutions. These solutions even allow content providers with a limited number of channels to start their own OTT Service. Small and medium size network. The IGP OTT Live Video Solutions rely on Rohde & Schwarz GMIT servers and adhere to the HLS (HTTP Live Streaming) standards. This makes the content simultaneously available in several qualities and have the client device automatically select the bitrate and coding standard that matches the internet connection quality and client device capabilities. Automatically generated channel thumbnails allow comfortable channel selection. The IGP OTT Live Video Solutions also allows regional restrictions, enabling or disabling viewing per country. The generated OTT services can be viewed with standard browsers on PC’s, Apple Mac’s and any mobile devices. IGP also offers its own VisionRE app’s for all popular mobile operating systems. Web and app access can be styled according to the customer wishes with additional information and news. With a customised VisionRE app the customer will have a unique way to promote its channels. 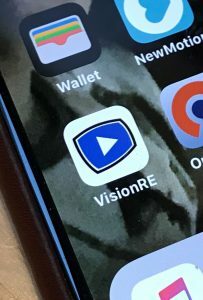 The VisionRE app can be downloaded under the customer’s own name and can have a selection of channels and any monetisation according to the customer’s business plan. When more geographical areas will need to be serviced with a larger number of viewers, it may be more efficient to add CDN (Content Distribution Network) routes. 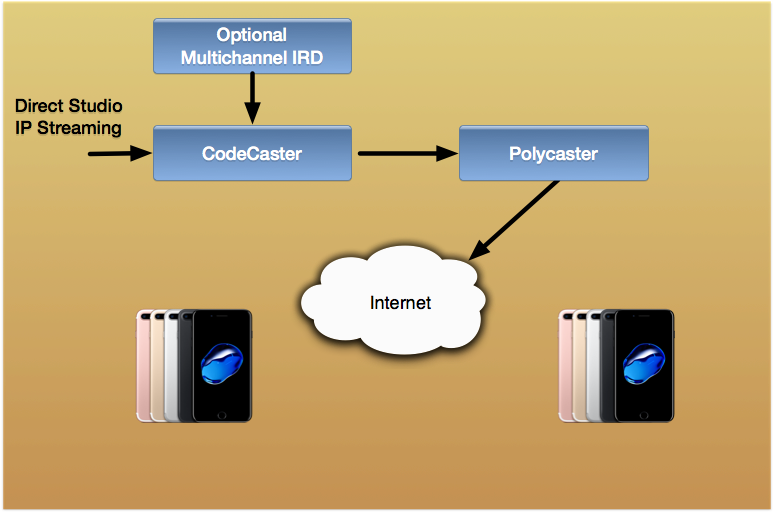 These routes use trunk lines where the streams with their various bitrate per channel are sent and stabilised with RelayCaster confirmed delivery technology to Internet nodes for distribution with PolyCasters and connectivity sized for the number of simultaneous viewers per node. Bulk distribution costs after the CDN: if high numbers of viewers are simultaneously watching, it may be advantageous for ISP’s and channel providers alike to add a CDN. As this is of mutual benefit to the channel provider as well as for the ISP’s volume bandwidth costs.